Drowned has been around since 1992 in various constellations. Originally formed in Berlin, the band has switched locations, members and musical focus various times, yet always emanating a distinctive kind of eerie morbid Metal. 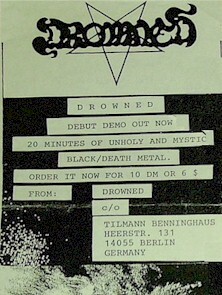 There have been three demo tapes (in 1993, 1995 and 2006), one 7" EP (1998, Stormbringer Productions) and a privately issued Rehearsal CD-R (2002). Cover is a Xerox. Hand numbered to 333 copies. 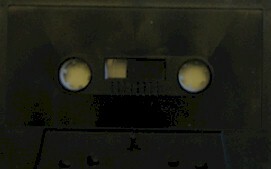 Black tapes, no lyrics.